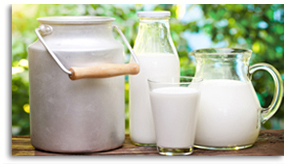 Kaskat Dairy is a well established, reliable supplier of powdered milk products. Since 1990’s we have been trading highest, stable quality food and feed grade materials sourced only from carefully selected producers. Now, after many years of successful activity, we have solid knowledge that helps us fully support our existing and new customers, build and maintain long lasting relationships. Close observations of the industry trends have lead us to opening of the brand new milk powder blending facility, where we manufacture products being a cost effective option for traditional milk powder. Our fat filled milk powders and skimmed milk powder preparations are satisfying needs of producers of baked goods, ice creams, drinks, chocolates etc., and in fact are suitable for almost all applications in the food industry. We constantly work on development of our company and establishment of cooperation with a wider and wider group of partners. Professionalism, efficient logistics, internal company procedures all together with our passion make us able to offer you excellent customer service and timely worldwide deliveries of the best ingredients, coming from the heart of nature. In response to our customers’ requests we started manufacturing special compositions of dairy and vegetable ingredients – GRAND MILK GOLD and GRAND MILK PLATINIUM. They are very popular especially in bakery and confectionery industry. These flexible formulations attract wide range of new customers from all over the world. Our stable quality, specially formulated compositions of dairy ingredients are in strict accordance to GMP and GHP guidelines. We are a HACCP compliant establishment. 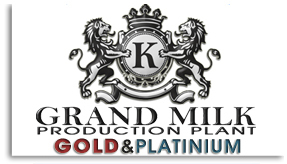 Full control of our production process makes us able to maintain highest possible standards of quality and safety. 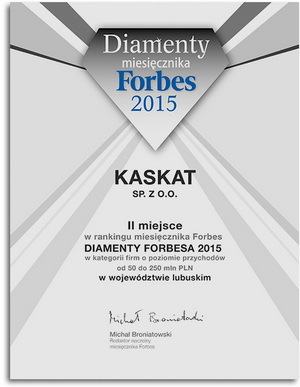 Kaskat is marked in our region as one of top businesses. 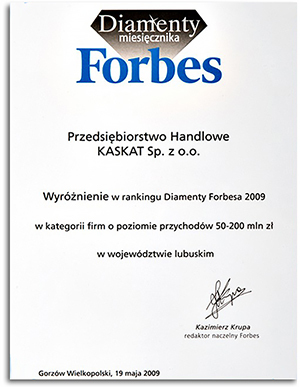 We were awarded for most profitable companies with the highest expansion prospects, economic performance, timely settlement of liabilities, creation of new jobs, investment, charity and environmental protection. 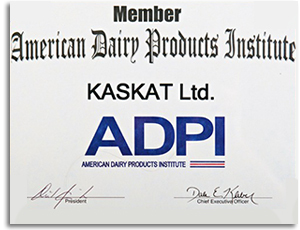 Kaskat took opportunity to enhance the industry knowledge meeting dairy economists and other business experts. 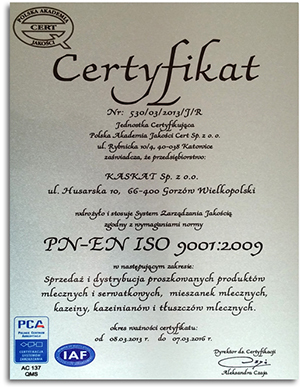 It proves we developed, use and constantly improve our quality policy. We work hard to identify customers’ requirements and aim to enhance their satisfaction. We are exporting to the 55 countries all over the world, located in 5 continents. 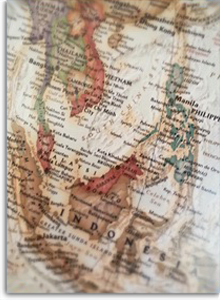 We are sourcing from 22 countries all over the world, located in 4 continents. 2rd place in Small Business category – awarded for economic performance, timely settlement of liabilities, creation of new jobs, investment, activities for the local community and charity, environmental protection. 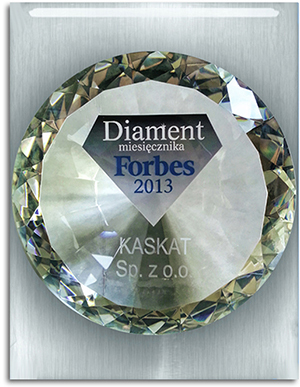 We are proud to be winner of Forbes Diamonds 2013. 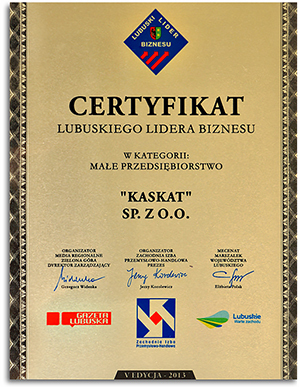 1st place in Lubuskie region and 41st Nationwide, out of 511 applying businesses with revenue between 50 and 250 million PLN. Forbes list is a ranking of most profitable businesses with the highest expansion prospects. Decision process focuses also on employees’ potential and know-how. 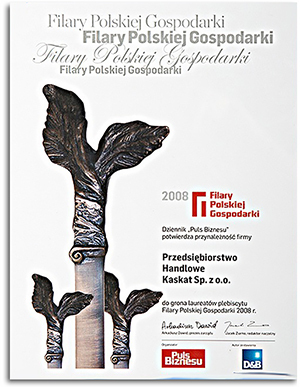 Awarded in January 2013. 2rd place in Small Business category – awarded for economic performance, timely settlement of liabilities, creation of new jobs, investment, activities for the local community and charity, environmental protection. Awarded on October 1st,2012. 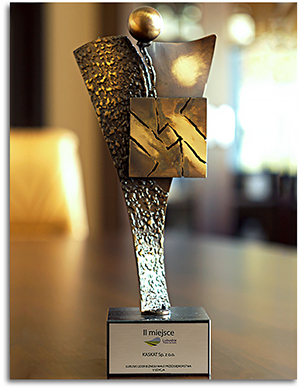 3rd place in our region – confirms membership in elite club that gathers most dynamic Small and Medium Businesses that successfully compete with much bigger firms. 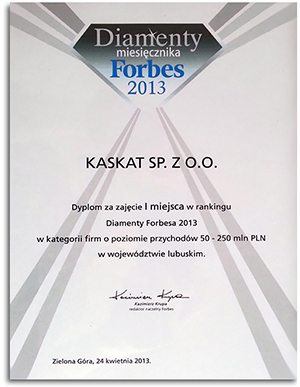 All data provided by applicants were verified by rankings’ authors Coface Poland. Proves Kaskat is stable and top important for our region expansion. 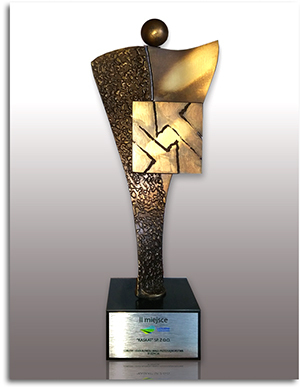 Awarded for enterprisingness development and support for local community. 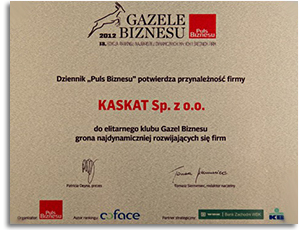 Granted by top important trade journal “Pulse of Business” together with local government. It is a third time when Kaskat is present. Organizers are expecting “lively panel discussions about issues facing our industry” and “collective help to understand how to unleash the power of dairy ingredients”. 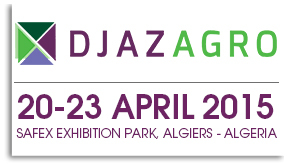 As one of Algeria’s leading specialist exhibitions with a global offering. Everything from raw materials to finished products, as well as baking, pastry-making, catering, processes and packing and packaging for the agro-food sector. 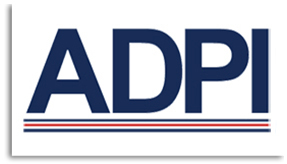 A MAJOR ASSET for manufacturers and suppliers, helping them to establish themselves on a fast-growing, dynamic market. 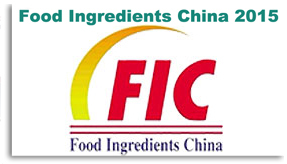 Focused on serving food industry FIC is the best way to develop Asian markets. 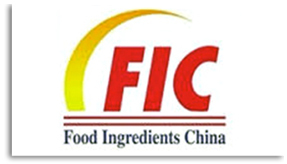 18-year accumulation to build up the most professional international food ingredients show in Asia. Over 1300 exhibitors, including over 300 overseas, 100000m2 exhibiting floor space. Kaskat was one of them. 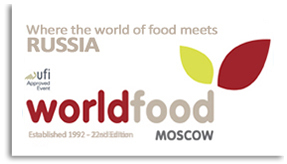 Celebrating the 20th edition of Gulfood: The world’s biggest annual food & hospitality show. With almost 5,000 exhibitors participating from over 120 countries, we say Gulfood is the world’s biggest annual food and hospitality show. Now we want you to know how we are going to make it the best! 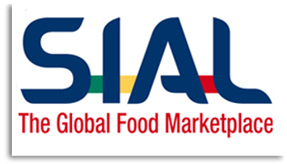 Beyond the quantitative success both in terms of exhibitors (6,500 from 104 countries, with around 6 months of additional sales reported by our exhibitors) and professional visitors (over 155,000 visits), the secret of SIAL lies in the passion driving the entire global food sector. 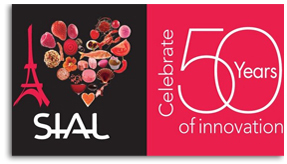 This love of eating well is a truly universal value that has created an energy and palpable enthusiasm throughout the entire show and has helped the SIAL, more than ever before, establish itself as a global food forum. 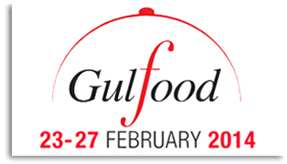 Whether you’re looking to supersize your business or delight customers with unique and inspiring flavours, you’ll find a whole world of suppliers at Gulfood. Kaskat’s presence is a must (Hall Sheikh Saeed 1, Stand: S1-B28). With over 20,000 brands, 4,500 exhibitors and double the features from 2013, you will have more time to explore in 5 days of the fair. The biggest brands. The latest innovations. Amazing values. 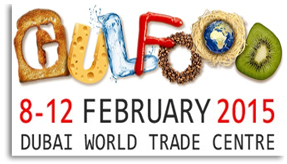 Gulfood……first for business. Anuga is not only the largest food and beverage fair in the world; it´s also the sector´s most important fair for new markets and target groups. 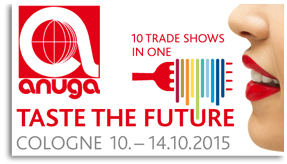 Organizers of this years’ trade show declare: “Everyone’s coming to Anuga!” – Kaskat as well. We are looking forward to present our brand new milk blending facility. 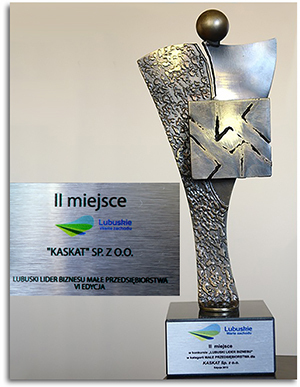 Kaskat established a brand new Milk Blending Facility in Gorzow, Poland. We started production of specially tailored dairy ingredients. Equipment we use and people working for us help to satisfy our customers, who will be offered highest quality products. Kaskat will be one of over thousand exhibitors at Asia’s largest and most authoritative international show of food additives and ingredients industry. 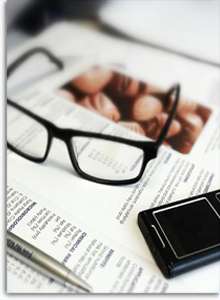 We will make dialogues and collect opinions of industry enterprises to identify trends. Kaskat was one of nearly 6 thousands exhibitors taking part of the show, where export was main subject of all discussions. Organizers summed the event up in a few phrases: “competitive food industries, fruitful business meetings and globalization of trade boosting the worldwide upturn“. 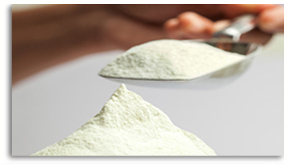 Kaskat Dairy Ltd. is a trading company involved in sales of various kinds of dairy powders. We are constantly developing, therefore we are looking for candidate for a Sales Agent. We are looking to hire a professional with strong sales skills to sell our powdered dairy products. 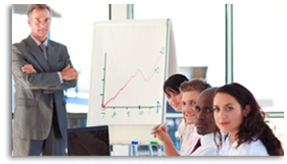 Ideal candidate will have sales experience and overall knowledge of international trade. Knowledge of dairy industry is preferred, but not essential, as full product training is provided.